It’s that time of the year again. The wind is howling, temperatures are dropping, and I crave comfort food. This recipe hits the spot. 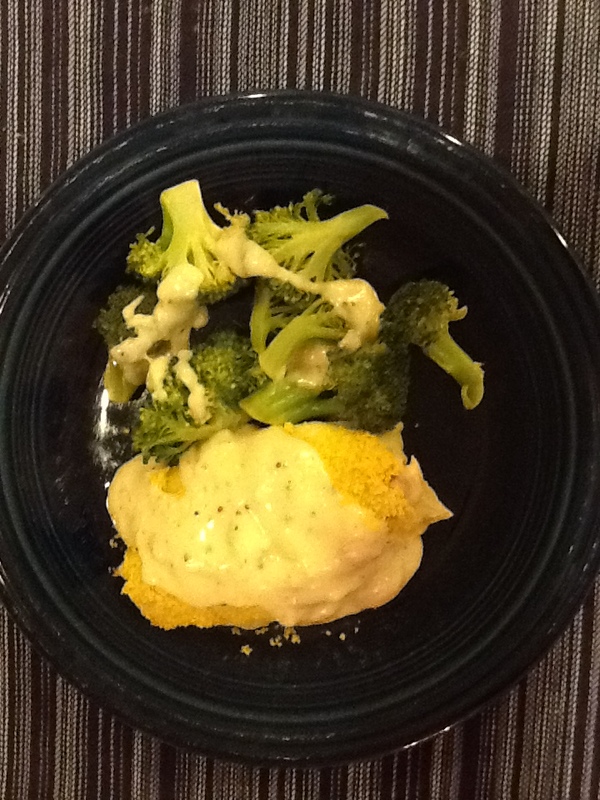 This is a gluten-free version of a classic: Chicken Cordon Bleu. Hope you enjoy! 2. Melt 1 tablespoon butter. Combine melted butter and bread crumbs. 3. Place the chicken breasts on a rack on a baking sheet. Salt and pepper both sides. Cover each chicken breast with 2 slices of prosciutto and one slice of swiss cheese. Spread bread crumb mixture over chicken breasts. 4. Bake in oven for 35-40 minutes. 5. Melt 1 tablespoon of butter in medium sauce pan over medium heat. Add cornstarch and form a roux. Add milk and worcestershire and stir until it thickens. Add mustard, parmesan, and white cheddar cheese. Stir until combined. Add salt and pepper to taste. 6. Plate chicken and drizzle with dijon sauce.